Live Demo Download (173) Free vs Paid? 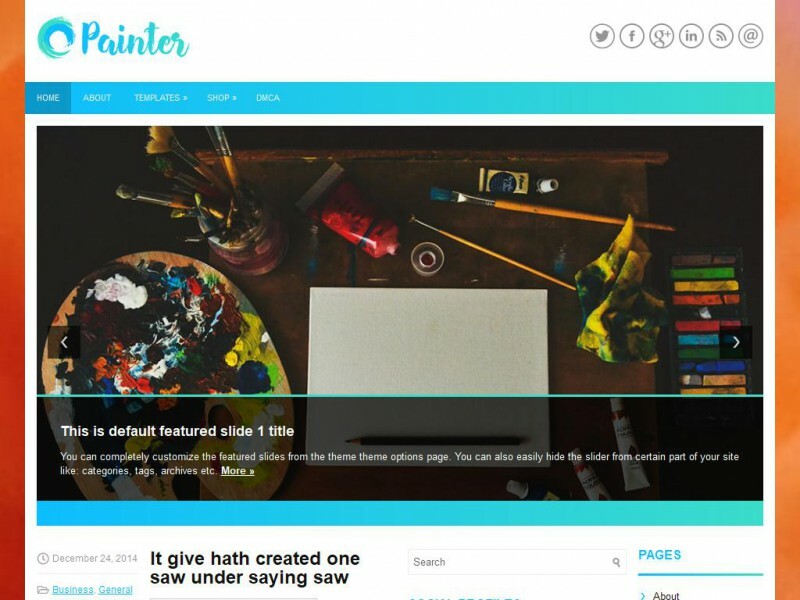 Painter is a Responsive WordPress theme that is perfect for the aspiring artist or art studio! It has a very clean design intended to highlight the artist’s work and put the focus on the content. The background image can be easily replaced if desired. This WordPress theme comes with a built-in slideshow, contact form, sitemap, and many custom widgets (example: social media icons, comment tabs, etc). It is super quick to install and set up and you will have your site ready within a few minutes! The wp template is light weight and sticks closely to the WordPress core. So you will have built-in compatibility with WordPress plugins without having to worry about conflicts! Are you planning on using WooCommerce to sell your artwork? Our themes have WooCommerce styling built-in for a matching looking and feel. Our theme is ready turn your website into a mobile-friendly, seo optimized, easy-to-navigate online art gallery! Buy it today!